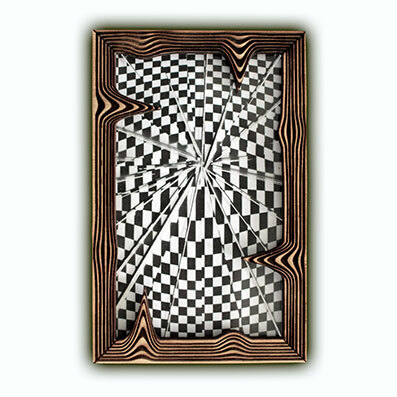 Art-edition slipcase features laser-etched plexiglass, with laser-etched die-cut wooden frame. Designed, manufactured & assembled by the hands of O.E.Lewis. Assembled using manipulated sounds from nature, the body, machines, and vintage paranormal recordings of mediums, poltergeists and spirit possession.